There's not much better than a long, slow weekend -- the cooking is done, the dishes all stowed away. The others in my house are occupied with shopping, reading and generally leaving me alone. 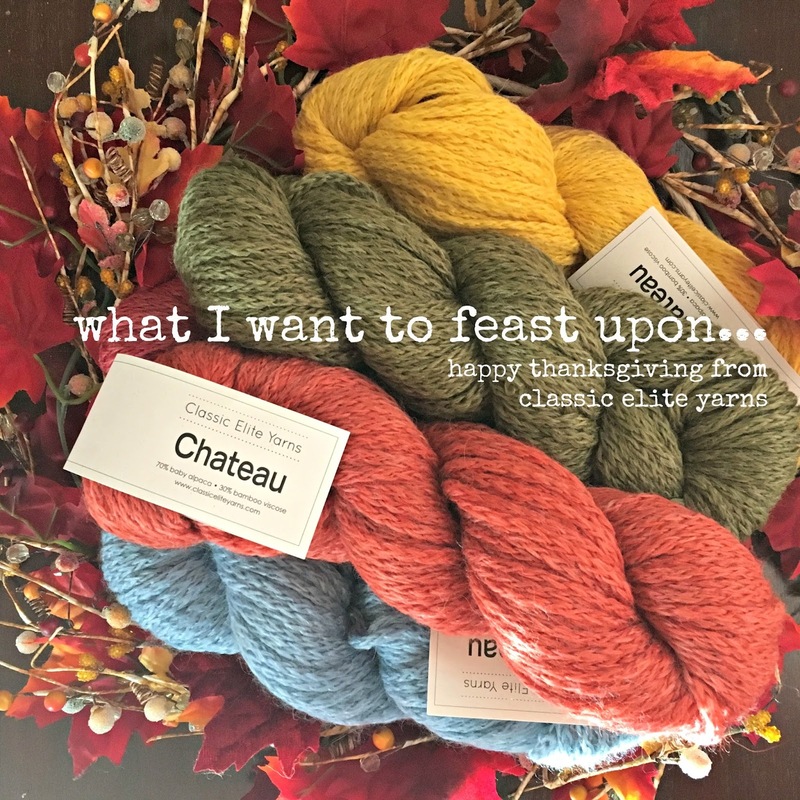 So what do I want to do -- not much but knit & crochet, look at pictures of knitting and crocheting and talk to knitters and crocheters. I got it into my mind to start a new project and decided whatever it was, it had to be a rectangle. I don't want to think about shaping, my own shape being a bit larger after Thanksgiving! 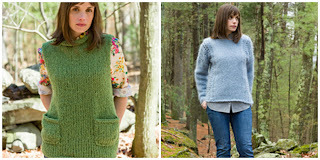 So I took to the Classic Elite Yarns' archives to select some of my favorite rectangles. Jill Wright's clever Ravenna poncho is crocheted in yummy Mohawk Wool. 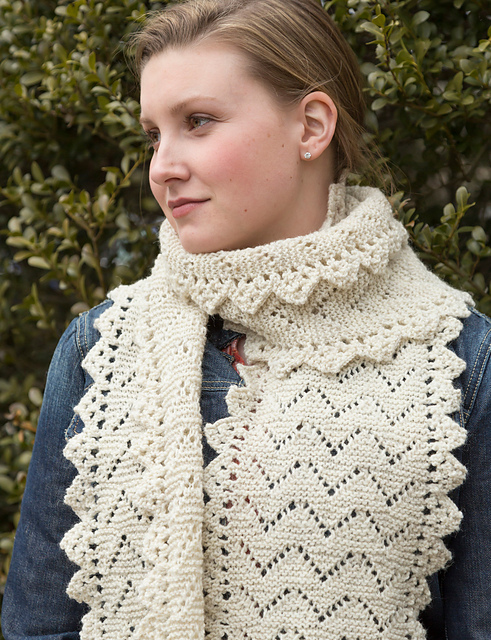 Cathy Payson's Avera is a scarf. Or is it a shrug? It's both, and I love it both ways! The super soft Arietta in yak & wool has great stitch definition while being positively plush. 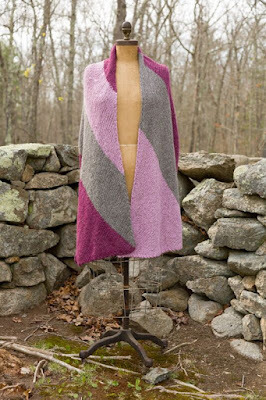 Self-striping, washable Liberty Wool is always fun to work with. Susan Mills makes great use of it in the Molly Scarf. 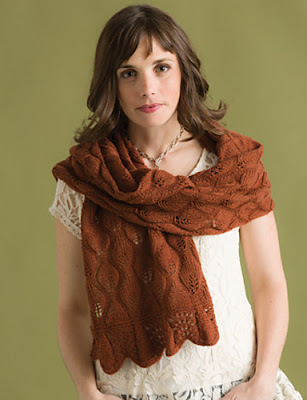 Susan is prolific, so it's no surprise I also love her Haystack Shawl in Mohawk Wool. If I keep touring the archives, I will never get anything on the needles! So I choose Pumpkin Pie -- maybe because I had carrot cake last night am regretting my decision. Whatever it takes, right? I love the leaf motif that Tonia Barry incorporated in to this classic scarf called Pumpkin Pie. 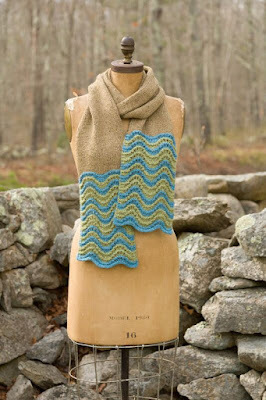 Knit in luscious Inca Alpaca. New post tomorrow featuring my favorite Classic Elite Yarns' rectangles to knit! 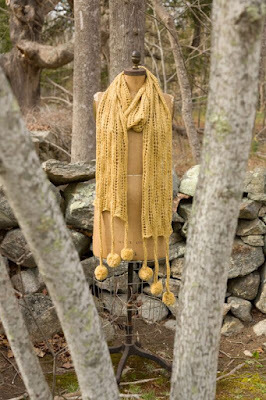 Third Piece, a coveted accessory company specializing in hand-knit ready-to-wear statement pieces, offers seasonal accessory collections that are created to be stylish, innovative and luxurious. 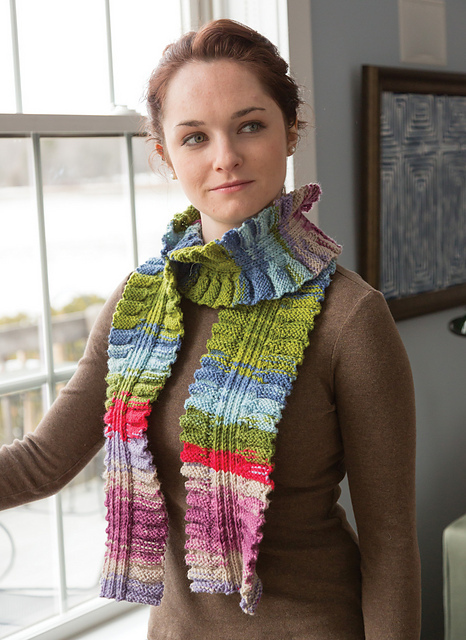 Funky Chunky, distributed exclusively by Classic Elite Yarns, to knitters so we can make our own boutique pieces. Co-founders Carina & Kristen met at the gym. "what's next" feeling. 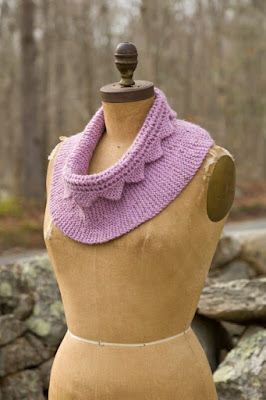 Kristen helped Carina to begin selling her knit pieces and next thing you know The Third Piece was born. What started as a simple idea to make hand knit headbands has grown into a knitwear accessory company company that hopes to reinvent the craft of knitting. 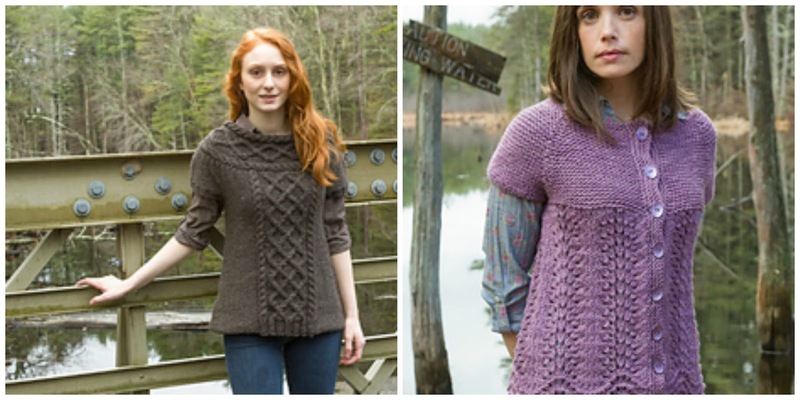 look for Funky Chunky at these retailers - What will you make? It's time to turn our attention towards working together with an eye on building a sense of community, giving a hand up to those in need and setting an example for our children. Let's be tolerant of our differences and be good to one another. for a FREE one-time CEY pattern download from Ravelry. Let's come together to stitch together. Valid now through Midnight EST November 10th. Enter code TOGETHER (all caps) on Ravelry at checkout for your one-time free pattern download. 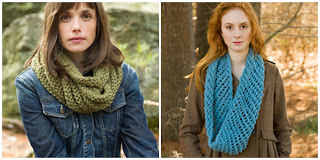 Limit one per Ravelry user. void where prohibited. 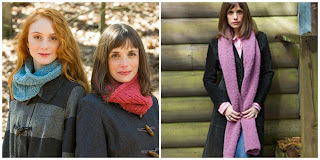 HERE ARE SOME IDEAS FOR YOUR FREE PATTERN. Oh how I love publication day! I grab my coffee, sit in my comfy chair and pour over every page and each new design. 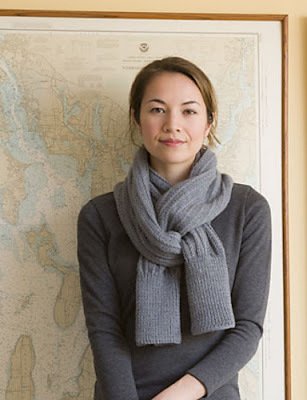 Our newest collection -- Century & Winter -- is full of weather ready, quick knits. You could whip one of these up lickety-split and get to wearing it next week. What's not to love? 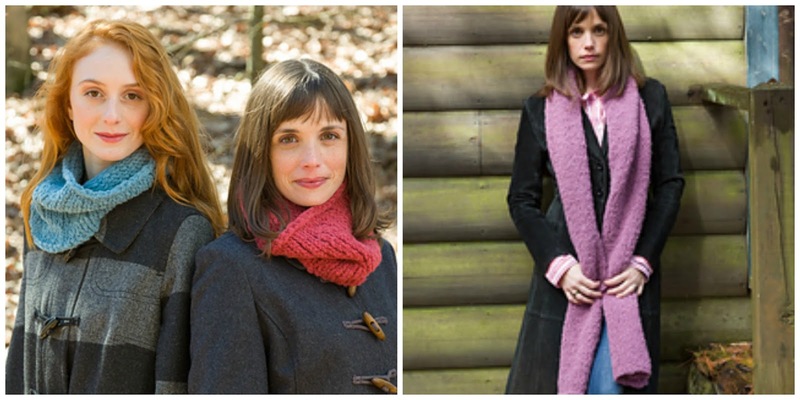 Start with the quickest knits of all -- cozy cowls and scarves. These would make great gifts for giving to others and ourselves. (L) Pemberton cowl pattern is free on Ravelry! (R) Avola is long and luscious. I also love some fast fashion -- in my case that usually means something I can knit very fast. 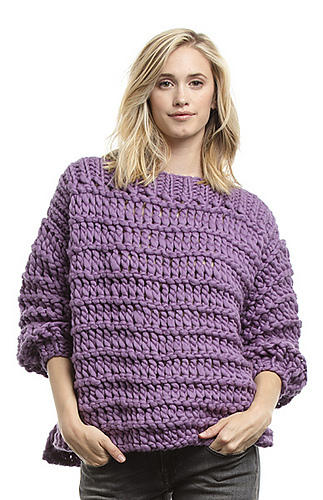 These sweaters fit that bill for sure. 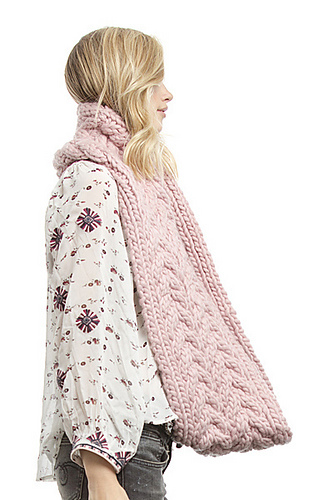 I think I could wear the Kersley sleeveless pull everyday. The yarn is Century. It's fluffy, soft alpaca in a railroad track construction. So it's chunky, but flat. 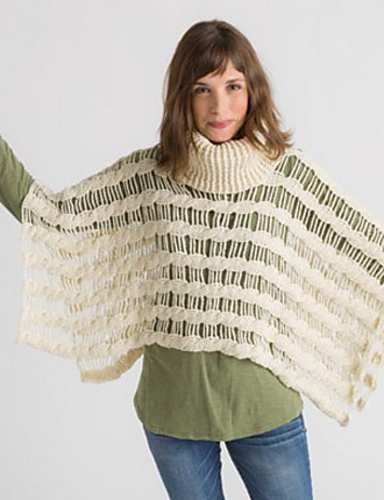 It's a quick knit that doesn't add bulk -- so perfect. 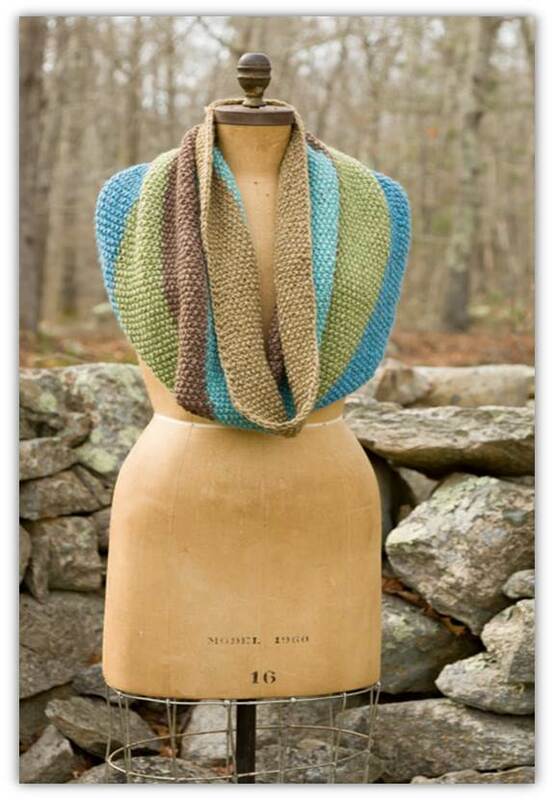 And the gorgeous Kaledon in signature yarn La Gran mohair is as light as air. 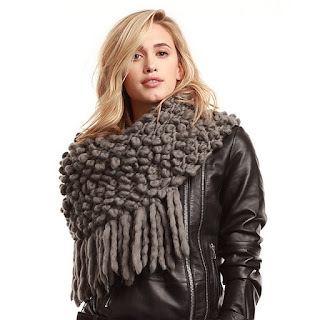 I love being warm but not weighed down. 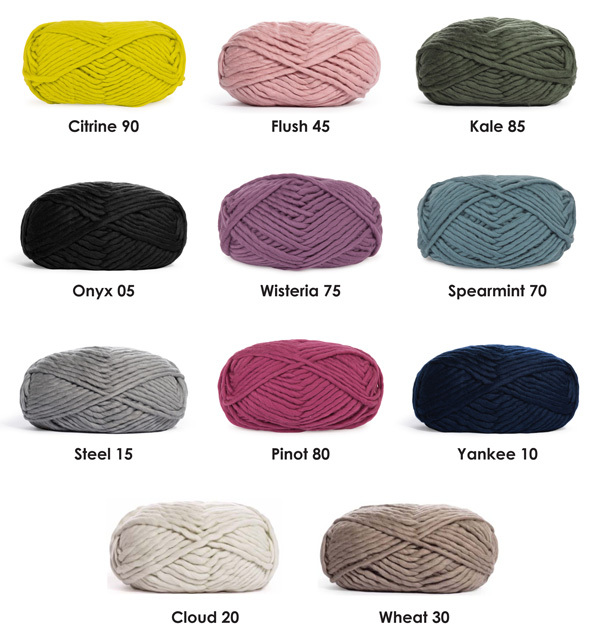 Genius yarn choices! 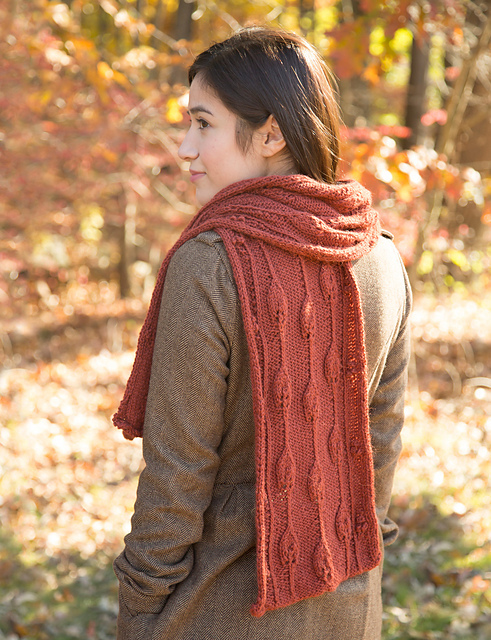 If you like something with a bit less stockinette, then the cabled Merritt in undyed Blackthorn or the feather & fan cardi Moberly knit in washable wool, Big Liberty Wool. But my favorite in this collection is the Brisco cropped pullover in Century. There's something fun and sort of Carnaby Street about it. I can see it over a dress with tall boots too. 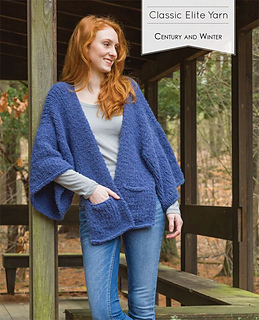 So grab a copy of Century & Winter at your lys or on Ravelry, and bring it to your shop, bring home some yarny goodness and cast on.